I envy the Chameleon. Wouldn’t it be so much fun to prowl through an environment, invisible to those around you, conducting your business in the sneakiest of fashion? 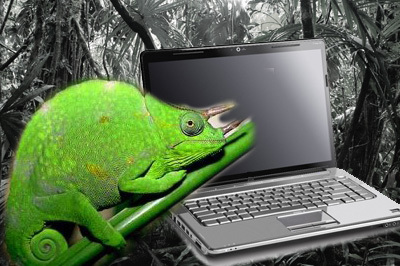 I’d like to introduce you to the online Chameleons – the anti-establishment groups of Singapore. Prowling through the internet wilderness and changing their opinions at whim, whichever works convenience for the day. I have been reading with much amusement how some groups are trying their utter best to turn the Amy Cheong fiasco into a “racially imbalanced NTUC” fiasco. And when that failed, they try to evolve it into a “gender imbalanced fiasco”. In a time span of 24 hours, they have changed their tune from “fire” to “martyr”. Even more amusing is when news of her Facebook posts first broke, these very same groups have been calling for her termination (probably betting that it could not happen). When NTUC did terminate her, our fair weathered friends changed their opinions and cried foul. They say “See lah, Singaporeans they fire, FTs they rap knuckles only”. In a most awkward, but comedic moment, newspapers ran stories the day after, with news that Amy was a PR (Permanent Resident). I can understand their frustration. With what scant data that they have and with such poor understanding of how the country operates, you can do little more but throw a tantrum if your goal was to make people angry. If these online groups even for a split second, cared for Singaporean/racial/gender representation, wouldn’t they have used more effective means of lobby and exchange? If you had a problem with a Sony PlayStation for example, do you think kicking and screaming and crying at Sony’s door is going to do you any good? If that won’t work for a gaming electronics giant, what makes you think anti-social behavior will work for the largest union conglomerate in Singapore? Nevermind that NTUC employs 550 staff and only 10 are PRs. Nevermind that 100% of their IRO (Industrial Relations Officers) are Singaporeans. The country has worked hard into bringing unemployment rate down to only 2% – this means those who are unemployed have a serious reason not to be and/or chose to live such a lifestyle. It would be very naive to think that NTUC had hired a PR just because it gave them a tinge of satisfaction. We need to remind our friends that Singapore has low unemployment rate. We need to remind them it is the engine of tripartism that made this happen. If these groups ran a union, we would have exactly what they want: more tantrums, more quarrels, more noise, less jobs. And when that time comes, just like the little Chameleon, they could conveniently move away and sing a song of a different colour. – NTUC Central Committee is formed through secret ballot by union officials from all across Singapore. – As with all employment procedure, it is open to meritocracy, qualification, attitude, match and availability. Intentionally selecting a PR would be way too much paper work for any HR person.